With the allure of ATVs, a market developed for ATV winches, and that's why you're here. 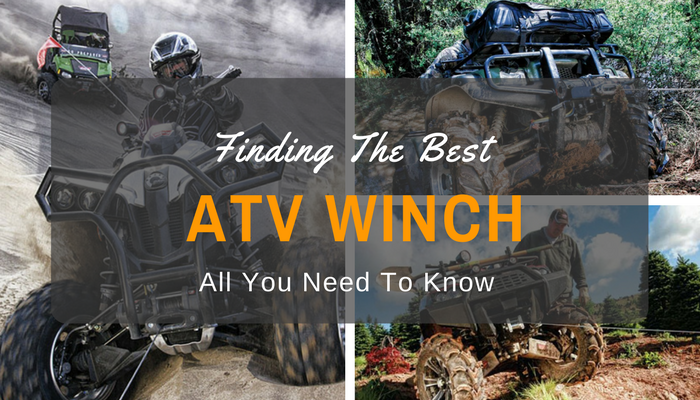 This guide will provide an in-depth look at what's required to find the best ATV winch before reviewing a collection of ATV winches available on the market right now. The best place to start while discussing ATV winches is to understand how to choose one to suit your needs. I will use personal experience to highlight what should be considered before a decision is made. Each factor listed below could play a role in your decision and should carry importance in the long-term. An ATV winch will come with one of two features. It will either include a synthetic or steel rope. The rope material can play a major role as it helps secure a load and hold it in place without breaking. A steel rope is sturdy and can hold a larger amount of weight, but it comes with safety concerns. 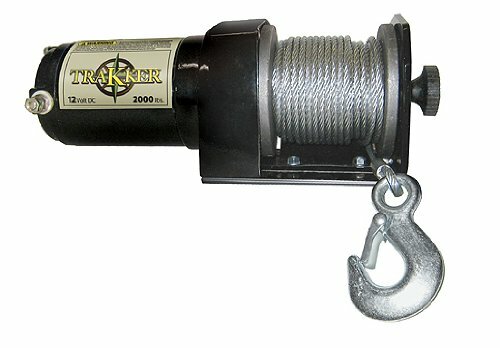 A user handling an AT﻿﻿V winch with steel rope is highly recommended to maintain distance in case the rope gives out. If the rope does break, it can do damage, and it's best to remain aware while handling large hauls. However, in general, an ATV winch with steel rope should provide ample value and isn't going to break unless you push it to the edge. I've also used synthetic rope, and it can provide considerable quality. With constant research taking place, synthetic rope s stronger than ever before and won't melt in hotter conditions. How well does the ATV winch pull your load? This is a question you want to ask while searching through various options. Pulling efficiency helps illustrate how much weight a winch can pull before giving out. 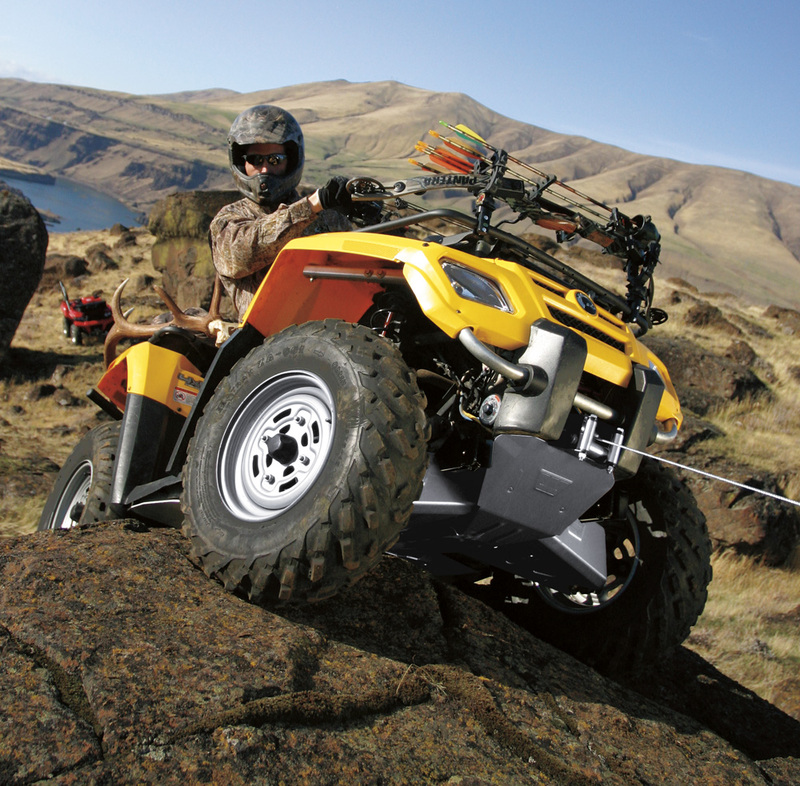 The rule of thumb is 1.5 times the weight of your ATV. This provides enough leverage while handling larger loads. Please note, the rope material will also alter the pulling efficiency as mentioned above. A steel rope might handle a larger load in comparison to a synthetic rope. In general, a powerful winch with a higher pulling efficiency is often a better option if other features check out. 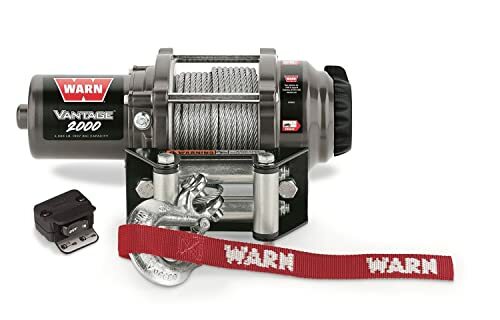 Getting an ATV winch that's unsafe is a risky proposition. It's important to ask this question in my opinion. Usage matters since one person might be hauling smaller loads while another is going to push near capacity every day. If capacity does matter, please take a look at that number before purchasing an ATV winch. Pushing near capacity can be a major risk and might lead to long-term damage. This is why usage does play a role and should be accounted for in the long-term. The moment usage is taken out of the equation; the ATV winch might fail to provide adequate results. ​What is the ATV winch going to be used for? ​It's important to ask this question in my opinion. Usage matters since one person might be hauling smaller loads while another is going to push near capacity every day. If capacity does matter, please take a look at that number before purchasing an ATV winch. ​Pushing near capacity can be a major risk and might lead to long-term damage. This is why usage does play a role and should be accounted for in the long-term. The moment usage is taken out of the equation; the ATV winch might fail to provide adequate results. ​Look at the weight of the ATV winch itself. ​How much does it weigh? I have noticed ATV winches come out on the heavier side leading to reduced capacity numbers. If the ATV winch is heavy, it takes away from the load being pulled. Remember, the ATV winch is attached to the ATV, and its weight does matter. ​A heavier ATV winch might be the reason a larger load can't move from one place to another. 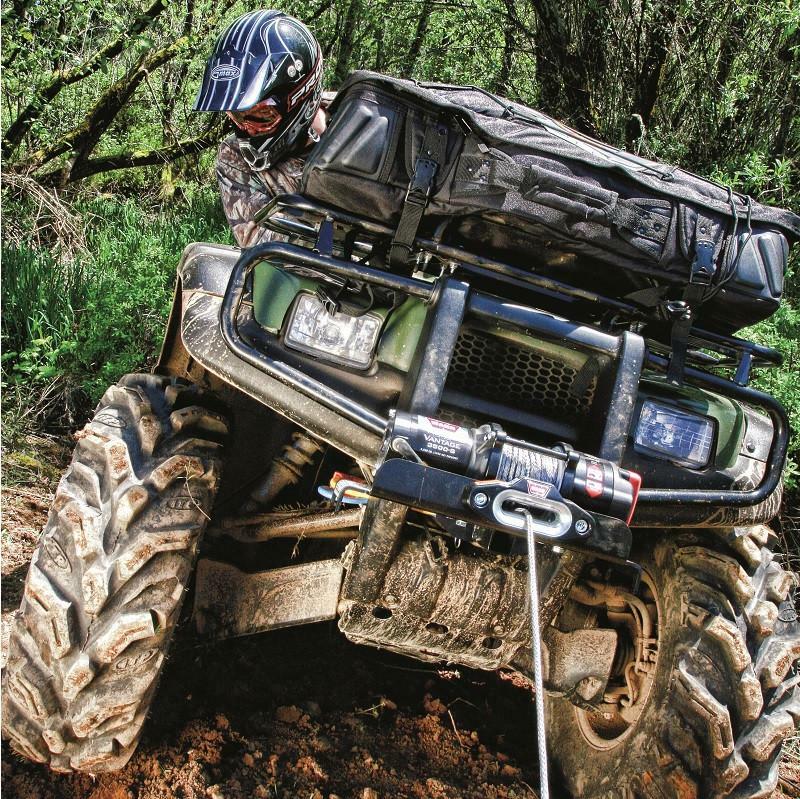 ​Choose an ATV winch that's lighter in weight but maintains a higher capacity. This can lead to an easier experience whether it's used for construction or hauling timber. ​What is the price for your next ATV winch? ​The average person reading this guide will know the importance of a budget. You won't go into the market without a set price in mind. In general, the market is full of exciting options at varying price points. On average, an ATV winch is going to cost $250 or less. ​Keep this in mind while going through the market and picking out a new ATV winch. The right deal will be one where the features, performance, and durability match up to the price point. If not, it's better to keep looking. ​What is the clutch? It is the part that is going to reel in the rope when it is attached to a load. The right clutch could make the difference between wasting time and immediately securing the load into place. It will avoid pulling against the gears and as a result, make the process a smoother one. So, who is the winner of this race to be the best ATV winch on the market? I have scoured the market to find the best options and the five listed here were ideal contenders. 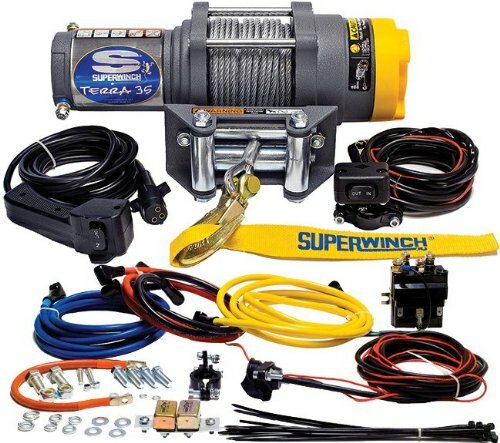 Each option brings something unique and is a valuable choice, but the stand-out option has to be Superwinch 1135220 Terra. This is an exceptional product with all the right features built-in. It comes with incredible line pull metrics, dynamic safety features, and an easy to use free-spooling clutch that is required to help reduce decay. This ATV winch stands out because it can provide an all-encompassing package at a fair price point ensuring users can get the best of both worlds in one product. As mentioned, I look for a few details with any ATV winch such as the safety, line pull metrics, price, weight, and usage. 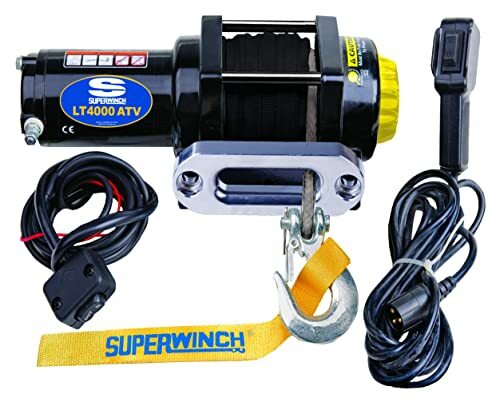 While considering all of these factors and rating these ATV winches, the one that continued to stand out was the Superwinch 1135220 Terra. It is an elite ATV winch that is designed to handle inclement weather or road conditions without causing distress. 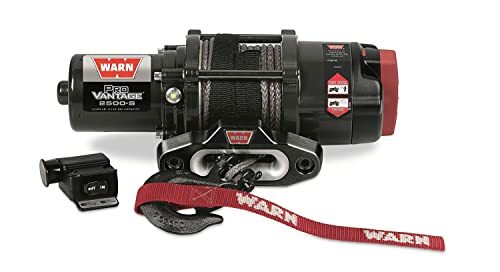 It's a fantastic choice for those who are looking to pick a top-rated ATV winch and are weighing the pros/cons of each product. It holds its own for every possible metri.